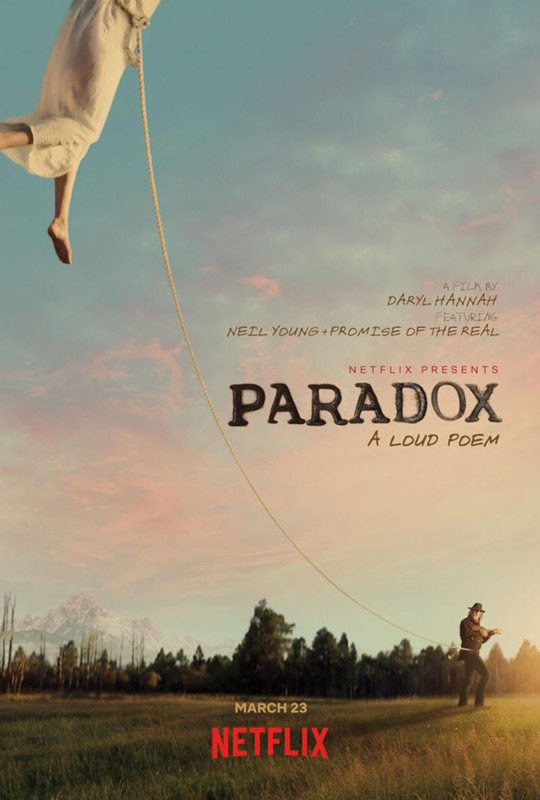 Early last month, we learned that Neil Young would be showing off his acting chops in Paradox, a Western film directed by actor Daryl Hannah (Blade Runner, Kill Bill). If you can't make the film's premiere at SXSW, it soon will hit Netflix. Paradox will make its worldwide premiere on the service on March 23. As previously reported, the film from Young's current romantic partner will also feature original music from Neil Young + Promise of the Real. In addition, Paradox stars Willie Nelson, as well as his sons Lukas and Micah (who also play in Promise of the Real). In a statement, Hannah said, "Paradox sprung up spontaneously and unexpectedly, like a peculiar dandelion, popping up between the cracks in the pavement. We were fortunate to find this brief window of opportunity to share the love for the natural world, each other and for the precious seeds of creativity and life. We are all thrilled the film will premiere at SXSW and that Netflix will be sharing it with the world." You can learn more about Paradox over here, and can find its poster above.